Way back in 2013, Rosie came up with the idea of a Ministry of Testing Scholarship Fund. Rosie decided to kick-start the scholarship by running a competition to give away the opportunity to attend all of the following year's courses and events for free to the most deserving determined person. As you might imagine, there were a huge number of entries for this highly coveted prize and settling upon a winner was tough work. Ultimately though, and mainly through sheer force of personality, the scholarship was awarded to the now famous Emma Keaveny. Winning the MOT Scholarship has completely changed my life and for the best! Before testing, I was a Team Lead in a Manufacturing company. Every day I would go in and do the same stuff, but I knew it wasn’t for me. I needed something else, wanted to do something else. A friend of mine said to try testing. So I looked into it to see what she was actually on about and ended up Googling the heck out of it. 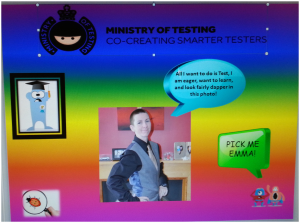 The next thing I know I am on Twitter talking to Testers, reading blogs and ultimately came across the Ministry of Testing website! This is where my life changed! How do I get into testing full-time if I don’t have the experience? Ireland didn’t exactly seem to be a land of opportunity, which was a shame since there is a lot of testing work done there. So I gritted my teeth and carried on with my old job, testing what I could in my spare time. Then one day I was looking at the MOT website and there like a bright angel shining down at me was the MOT Scholarship, up for grabs. All I had to do was prove my worth! Surely it couldn’t be that hard… right? So I went ahead and filled out the form, sending across my contact details and the most important section on why I deserved to win the scholarship. I filled this out and hoped for the best. A month went by and I checked back on the website. The competition was still going. So I said to heck with it, filled out the form again and decided upon a different plan of action. I followed Rosie on Twitter and plagued her with my Tweets. That poor woman never stood a chance! I sent her Tweets; I sent in posters and even had to do a 99-second video… what a nightmare that was! Ramble on for 99 seconds about anything. This only took me about 12 attempts! After a while of this, I thought ‘right I have done enough!’ There is no point turning into a stalker; I am either going to win it or not. Playing the waiting game…and winning! The New Year had come and still, I heard nothing. Back to Twitter I went and sent a message to Rosie to see what the update was. A few days later I found out that I had won!! I couldn’t believe it. I won! Someone actually thought I was worth giving the scholarship to! Now all I needed to do was wait for March and let the learning begin. I had to pick my courses though, so I went for Mobile Testing with Stephen Janaway, Security Testing with Bill Matthews, RST & RTI with James Bach and of course, TestBash Brighton. March finally came around and it was time for me to fly out to Brighton to see what would happen! I really had no idea what to expect. I was excited and nervous but I swore I wouldn’t stand in the background; I would try to get out there, pick some brains and learn! 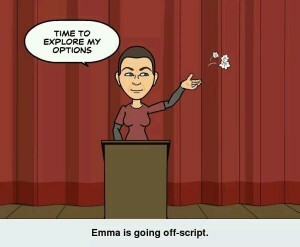 So along came my first day (Mobile Testing) and boy was I nervous (just ask Rosie as I rushed past her in the doorway!) Like a good little schoolgirl I took my seat and listened and noted down everything I could. The same thing happened the next day (Security Testing) until TestBash came along. 250 testers under one roof… what the heck to expect?? At this stage, I was in complete awe at how friendly people were! People I met on Twitter were coming to me and introducing themselves! Hard to believe people you see online are actually real! I felt like a star struck fan! I no longer felt like an outsider. I actually felt a part of something. Something amazing! People gave a damn and wanted to help! I had never experienced anything like that, honestly didn’t think it really existed. I listened contentedly to all the guest speakers and enjoyed all the new friends I was making. With the help of Rosie and the testing gang, I was “pimped” out. A “Tester for hire”. The following week I had an interview with a great organisation. It was perfectly timed; straight after my RST training with the almighty James Bach, I had my interview. With my newly acquired testing knowledge, I was like a soldier going to war… fully prepared! It had to be the best interview I have ever had! I was able to take the lessons I had learned during my scholarship and apply it to the interview and some of the technical questions they had sent me. Question 3 was the one that got me the job. The question asked me to write a test script and I hadn’t a clue how to start, so I didn’t do it. I just wrote a lot of questions as to why I couldn’t actually write a script and I was able to give the reasons for my questions. It was definitely a better way to approach the interview and also made me look like I knew what I was talking about. It took them two days to come up with a decision. They offered me the job! This could not have happened if I hadn’t won the Scholarship. There would have been no way I could have afforded the training and accommodation in Brighton. As a result of this amazing gift I now live in Uckfield working for Interica, loving my life as a junior tester and ever so thankful! It only gets better from here! Thank you Rosie, you truly have changed my life. Thank you Simon, you have been extremely patient. 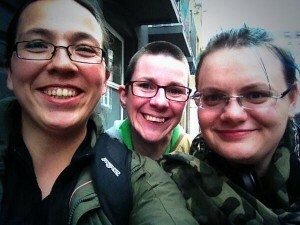 Thank you to all the testers I met over those two weeks (I am so sorry there are too many to name – I would hate to show favouritism) for introducing yourselves and allowing me to be a part of this amazing community. No doubt you will see more of me, if not hear me!! !